/ Modified dec 21, 2017 2:10 p.m.
A Dec. 11 report from the Office of the Inspector General noted concern over how immigrant detainees are treated. Five facilities were randomly inspected and several violations were found in four of the five detention centers. While no facilities in Arizona were visited for the report, the Arizona Republic has documented at least 15 deaths at the Eloy facility since it became a detention center in 1994. Because of that, Arizona and international human rights groups monitor Eloy closely. Maria Castro is a community organizer for the Arizona nonprofit Puente. That means "bridge" in Spanish. It's one of the human rights groups that makes regular visits at the Eloy Detention Center. "It's important to draw awareness because Eloy is one of the deadliest detention centers in the nation." 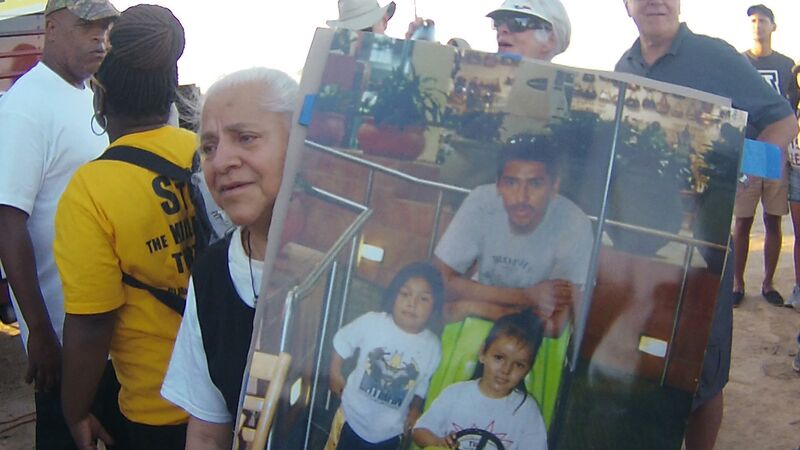 At a recent protest, 70-year-old Maria Natividad Sanchez Bernal held up a picture that dwarfed her barely 5-foot stature. The picture is of her son and his children. When we interviewed her, her son was being held at the Eloy Detention Center. She claims he has been in detention for more than two years. Mother of son detained at the Eloy Detention Center holds up a picture of her son and grandchildren. "I lasted more than a year without seeing him," she said. "I've just recently got to see him because I went to Puente and they have helped me." Puente organizer Castro said it is not uncommon for Immigration and Customs Enforcement to make an arrest without notifying families. Often, an inmate won't provide contact information for loved ones out of fear that they, too, will be arrested. "People are not only breaking families apart, but they are also breaking these people down every day. … Going into visitation is really difficult. They put a lot of loopholes. They don't explain things to you. People who are on the inside, if they complain, they put them in the hole. And there are just a bunch of atrocities that are happening inside, and it is important for the world to know." Right now, at Eloy, there are almost 14,000 individuals being held for immigration violations. Eloy is a private prison owned by CoreCivic, formally known as Corrections Corporation of America. It costs U.S. taxpayers an average of $180 per day to house each immigrant at Eloy. The company has not returned multiple phone calls seeking comment for this story. Since they spoke with AZPM, the family has gone into hiding, and did not provide a case number for Sanchez Bernal's son, which means the detention center cannot provide details on his status. 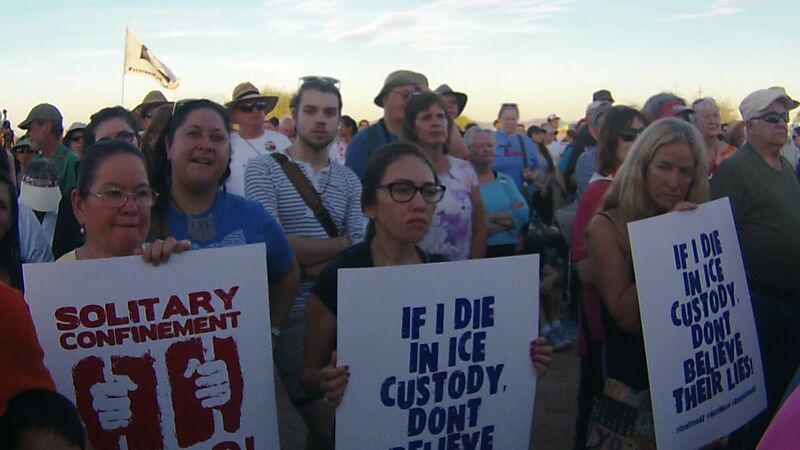 Homeland Security's Inspector General, Puente, and other groups say they will continue to monitor the Eloy Detention Center.